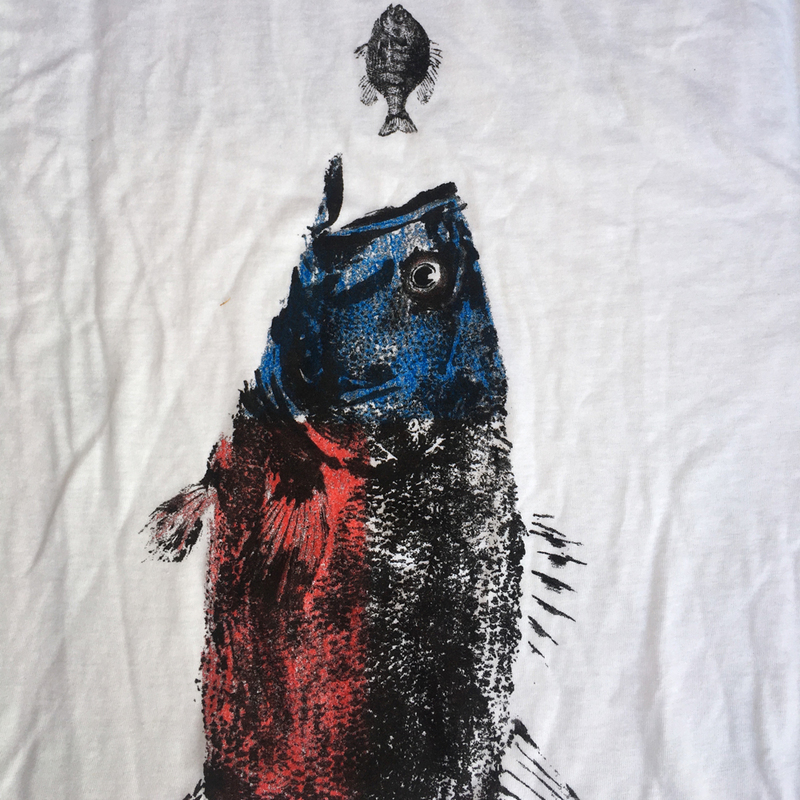 Lightweight (4.5 oz.) 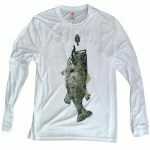 T shirt, 60/40 ringspun cotton/polyester, SPF 40 sun protection. 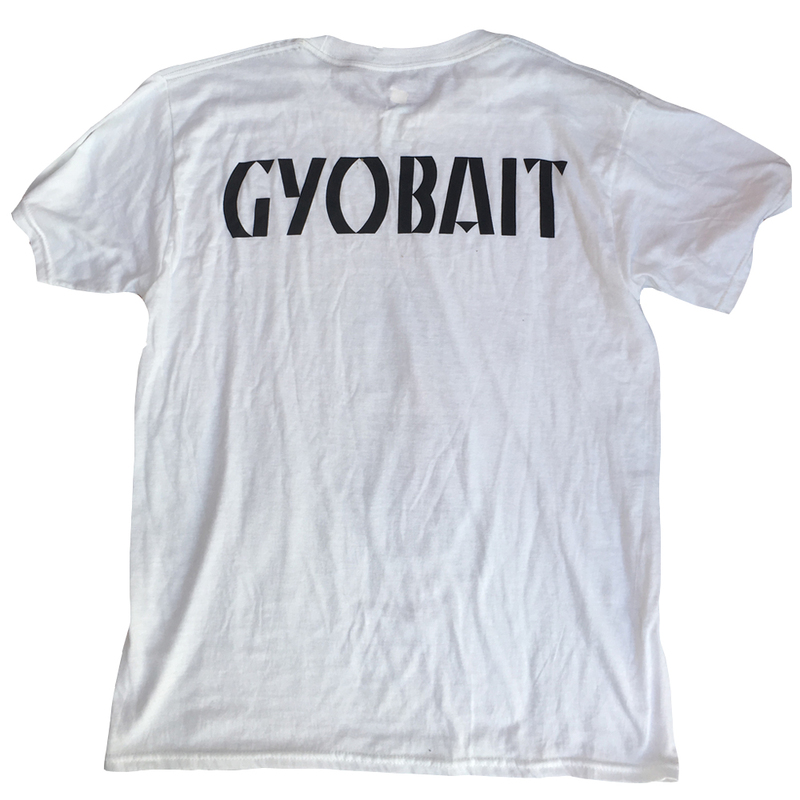 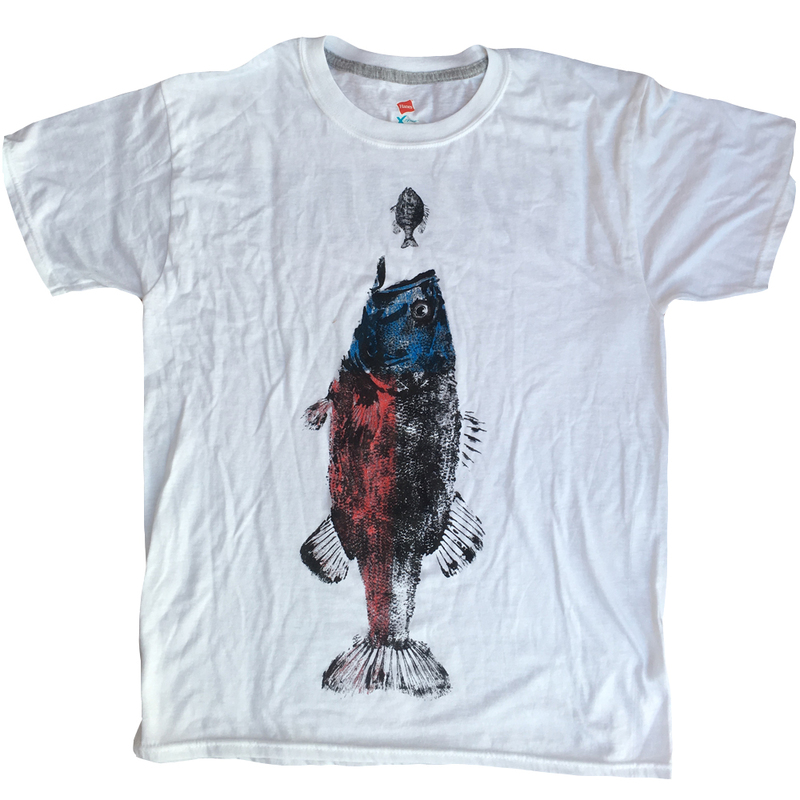 More about this shirt: GYOBAIT is a play off of the Japanese art form Gyotaku meaning “Fish Art”. 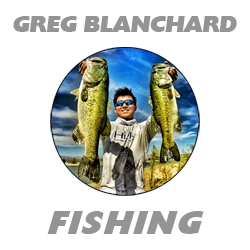 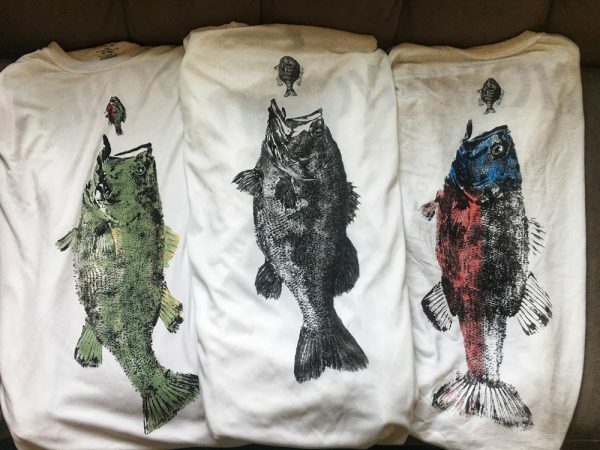 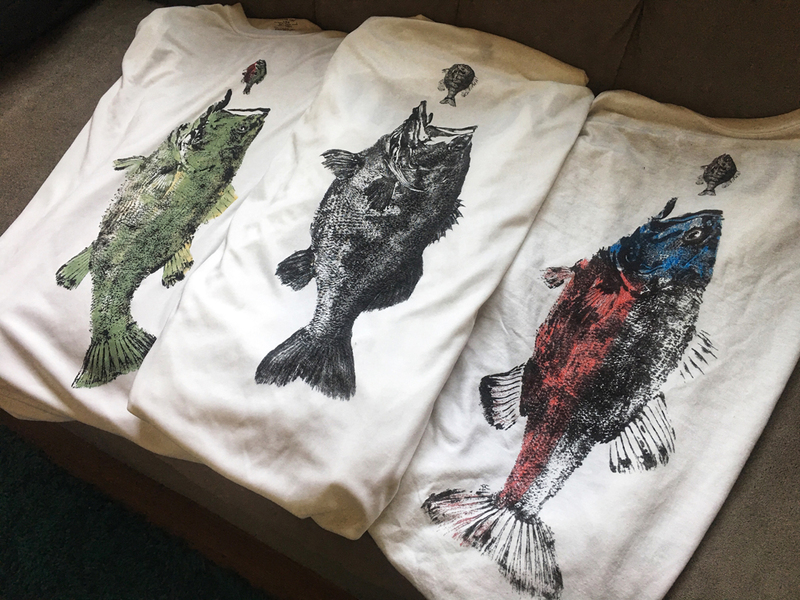 Texas native and artist, Tim Nickels, caught the bass and bluegill pictured on this shirt and was able to put it onto a canvas. This T shirt features a bass and a bluegill with a Patriotic flare.